The City utility of Munich (Stadtwerke Muenchen) has started the commercial operation of its combined heat and power geothermal plant in Sauerland, Bavaria. The plant supplies around 16,000 households in the city of Munich with geothermal power and provides the inhabitants of Sauerlach with the option to connect to geothermal district heating. 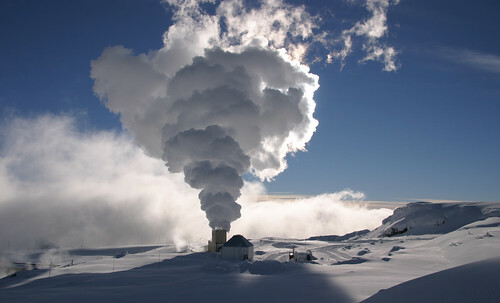 This is the second big investment in geothermal by the utility. Since 2004, he utility has provided around 88 percent of the heat supply for the city of Riem from a geothermal heating plant. The Sauerlach plant provides heating and power from water with a temperature of around 140 degrees Celsius from wells at a depth of ca. 5,000 meters. A bill by Assemblyman V. Manuel Pérez that once sought to increase California’s renewable energy standards has been pulled from consideration in the Legislature. Pérez, a Coachella Democrat, said he disagreed with amendments that were added into Assembly Bill 177 during committee hearings to deal with costs of integrating green energy sources to the grid. Utilities have been seeking new regulations that will allow them to include the greater costs of integrating intermittent wind and solar to the grid as one way to help geothermal compete. But Pérez on Thursday said he feared the change to his legislation could ultimately add costs to consumers. Pérez is now planning new legislation to achieve a related goal of having the California Energy Commission to examine the issues and barriers surrounding geothermal as part of the state’s Integrated Energy Policy Report. Geothermal power plants convert thermal energy in the Earth's crust to electrical energy for consumers. Currently, the United States is the world's leading producer of geothermal energy with 29% of global production. The major players in the geothermal space are Calpine Corporation (CPN), LSB Industries (LXU), Ormat Technologies (ORA), Ormat Industries (traded on the Tel Aviv Stock Exchange as ORMT), and Waterfurnace Renewable Energy (traded on Toronto Stock Exchange as WFI). The best investment in the group is an easy choice, LSB Industries. As the world's largest producer of geothermal heat pumps, LSB has a market cap of 809 million dollars. A western Queensland council is looking at geothermal power options for its shire. The Winton Shire Council says it is investigating the feasibility of a low-cost geothermal power generating plant. CEO Tom Upton says the shire is working with Local Government Infrastructure Services and a decision on the plan is expected before June. He says the plant would generate revenue for the council, using a natural resource from the Great Artesian Basin. "The bore water comes out of the ground at 87 degrees and the way the units work, they generate power by cooling the water," he said. "Two units would produce about 40 per cent of Winton's power needs. Best known as the home of Waltzing Matilda, Winton is the place that A B Banjo) Paterson wrote the Australian national song in 1895, whilst visiting Dagworth Station. Legend has it that the first public performance of Waltzing Matilda happened at Winton’s North Gregory Hotel on 6th April, 1895. Rather than give up when their initial plan failed, the engineers at the Iceland Deep Drilling Project decided to see whether the hole they drilled would form a reservoir of usable hot water on its own, as water from the surrounding, fractured rock flowed past the magma. Astonishingly, it worked. Two years later, the scientists were able to draw water from their well at 450°C (842°F), a world record. While 450°C is not hot enough at atmospheric pressure to be supercritical, it still contains an enormous amount of usable energy. As a result, engineers estimated they could use the well to create a power plant capable of generating 36 megawatts of electricity. That’s 20 times less than what a typical coal-fired power plant can generate, but it’s often the case that a geothermal power plant will have more than one well. Plus, geothermal power doesn’t come with any fuel costs or appreciable carbon emissions. The Department of Energy's EERE Science and Technology Policy (STP) Fellowships will serve as the next step in the educational and professional development of leaders in energy efficiency and renewable energy, providing an opportunity for scientists and engineers with relevant energy technology experience to participate in research, development, demonstration, (RD&D) and analysis projects at DOE's Office of Energy Efficiency and Renewable Energy, Geothermal Technologies Office (GTO), in Washington, D.C. The U.S. Department of Energy today announced $3 million to spur geothermal energy development using play fairway analysis. This technique identifies prospective geothermal resources in areas with no obvious surface expression by mapping the most favorable intersections of heat, permeability, and fluid. While commonly used in oil and gas exploration, play fairway analysis is not yet widely used in the geothermal industry. By improving success rates for exploration drilling, this data-mapping tool could help attract investment in geothermal energy projects and significantly lower the costs of geothermal energy. The managing director of Iran Power Generation Transmission & Distribution Management Company (TAVANIR) said the first geothermal power plant in the country will launch in the next Iranian year (starting March 21, 2014). In a previous announcement a pilot 5 MWe geothermal power plant was slated, the first of its kind in the Middle East, with a total capacity of 50 MWe after more turbines are installed. An historic agreement has been signed between the Regione Toscana (Tuscany, Italy) and Rete Geotermica (Geothermal Network), to support the development of environmental-friendly geothermal power plant in the Tuscany region of northern Italy. Regional president Enrico Rossi pointed out at the signing ceremony of the Memorandum of Understanding that this is the first time an agreement has been signed with a group that does not include the large geothermal energy developer Enel, but more important is the new focus on middle and lower enthalpy resources. The Philippines Power Sector Assets and Liabilities Management Corp (Psalm) has scheduled the sale of the government's contracted output from the Mt. Apo geothermal plants in Mindanao. Emmanuel R. Ledesma, Jr., Psalm president and chief executive officer, said the agency's board has cleared the selection and appointment of the independent power producer administrator (IPPA) for the Mt. Apo 1 and 2 geothermal plants. The Mt. Apo IPPA will manage two government contracts with the Mt. Apo 1 and 2 geothermal power plants with contracted energies of 390 gigawatt-hours (GWh) and 398 GWh per year, respectively. The Mt. Apo 1 and 2 geothermal plants, each with a rated capacity of 54.24 MWe, are located in Kidapawan City, North Cotabato. The 1 MWe Habanero Pilot Plant Trial concluded 7 October 2013 with no safety or environmental incidents throughout the campaign. The Field Development Plan incorporating data from the trial was also completed, identifying future development options for this resource. Exploration drilling planning for the Savo Island Geothermal Power Project included procurement of long lead items and materials and the Company also took possession of a track mounted drilling rig for the campaign. Preparation of the comprehensive Environmental and Social Impact Assessment continued. Initial findings of baseline studies undertaken as part of the assessment were presented to government ministries and the Savo Island community. Geodynamics continued its engagement with the Solomon Islands Electricity Authority to progress electricity supply and power purchase agreements. KUTh shareholder acceptances of Geodynamics’ Takeover Offer passed the 90% level. Post the quarter, Geodynamics successfully completed the compulsory acquisition of all outstanding shares to hold 100% of KUTh Energy Limited. The acquisition of KUTh aligns with Geodynamics’ strategy to develop a portfolio of high quality, small-medium scale, conventional (“volcanichosted”) geothermal projects initially targeting the Pacific Islands region, capable of providing nearer term revenues to shareholders. Direct Utilization of Low- and Medium-Enthalpy Geothermal Resources: Space Heating, Balneology, Horticulture, Aquaculture, Industrial Applications, Heat Pumps etc. Volcano quietly waits for summer visitors to return. We’ve wrapped up and winterized the Newberry EGS field site for the coming months, and with that in mind we wanted to fill you in on the results of last field season’s well logging activities and AltaRock’s plans for future work to keep the project moving forward. Analysis of the 2012 stimulation results indicated that further stimulation of the reservoir would be needed to ensure the reservoir is large enough to be economically viable. Next summer, we’ll rig up the injection pumps used during stimulation last year and re-stimulate to increase the size of the deep reservoir. What is needed is a way to decrease the risk associated with drilling new wells, reduce the cost of produced energy, and expand the area where geothermal energy can be utilized to increase the potential for large scale deployment of geothermal power. Across the western United States, there is hot rock within a few kilometers of the surface with a huge energy potential. Studies conducted in the last few years have estimated that there is from 500 to 5000 GW of recoverable geothermal energy in this hot rock if we can develop an economic means to extract the heat. Remember that the total energy production of the United States is about 1,000 GW, so this very significant. The challenge is that unlike a conventional geothermal resource, the hot rock resource has no naturally permeable cracks to allow heat exchange with circulating water. Enter Engineered Geothermal Systems (EGS). Scientists are in American Samoa this week to conduct studies on the geothermal potential of the territory. The project is funded by a grant from the U.S. Department of Interior which included paying for the scientists to visit. Mr Jones says the scientists are at the final stages of their testing, and the committee is just waiting on final reports. A new project is off the ground to provide cheap green energy in Manchester, England. Energy that does not depend on the whim of wind or waves, or whether the sun wants to poke its nose out from behind a cloud. GT energy, a Dublin-based company, have plans to develop a geothermal heat generating facility just off Devonshire Street in Ardwick. Manchester City Council has given the go-ahead for the company to carry out detailed geological evaluations of the site. GT Energy will spend the next ten days carrying out a seismic acquisition survey to help them finalize their designs. This involves machines making small vibrations in the ground which are tracked to map the structure of the rock beneath, a bit like a sonic x-ray of the ground beneath our feet. If everything works out, the site could be up and running by 2016, making it the first of its kind in the UK. Power Sector Assets and Liabilities Management Corp. (PSALM) said Wednesday it will rebid the contract to manage the output of the Unified Leyte geothermal power plants, which were damaged by typhoon Yolanda in November last year. PSALM president Emmanuel Ledesma Jr. said the board accepted the withdrawal by Unified Leyte Geothermal Energy Inc., the winning bidder of the power supply management contract, and decided to conduct another auction in September 2015. ULGEI, a unit of Energy Development Corp., submitted a bid of P215 million to administer and manage Unified Leyte power plants’ bulk energy contract in November last year, before typhoon Yolanda hit the central parts of the country. Conveniently for utilities in the U.S., they never talk about the tens of billions of dollars in permanent subsidies they’ve received over the past century. These fossil fuel subsidies are entrenched in the tax code. For example, since the US began subsidizing energy, the average annual subsidy has been $4.86 billion for oil and gas and just $370 million for all renewable technologies (Source: “What Would Jefferson Do”). This graphic above from the Environmental Law Institute summarizes the gap between fossil subsidies and solar subsidies well. The 35th Amateur Photo Contest winners will be announced at the GRC Annual Meeting in Portland, Oregon, USA. The winners will be announced at the GRC Annual Member Meeting and Awards Luncheon, the climax to the 38th GRC Annual Meeting & GEA Geothermal Energy Expo being held at the Oregon Convention Center, Portland, Oregon, USA from September 28 –October 1. The theme for this year’s meeting is “Geothermal: A Global Solution”. Photographs on any subject related to geothermal energy can be submitted such as geothermal energy production, EGS, Direct Use and geothermal heat pumps. These can include photos of well testing, drilling, operation of geothermal equipment, newly developed equipment, or plant operation, construction of a geothermal plant or plant site, and geological areas or surface manifestations (holding potential for geothermal exploration or development). More information on the GRC Amateur Photo Contest, including a submission form, can be found on the GRC website [www.geothermal.org]. The deadline for submissions is August 31, 2014. The U.S. Geothermal Energy Association (GEA) will be holding a one-day “International Geothermal Showcase” in Washington, DC on Tuesday, April 22, 2014 at the Ronald Reagan Building and International Trade Center. The program will showcase geothermal projects, trends, and governmental policies in the U.S. and around the world. Topics covered will include; the geothermal market today, projects under development in the U.S. and internationally, outlook for the future of the geothermal market, policies driving geothermal development, new technologies, and federal agency support at home and abroad. Registration now available. To register please click here. Register early and receive a discounted rate to attend. A discounted room block is reserved within walking distance to the Ronald Reagan Building. Click here to make a room reservation at the discounted rate. Any questions, please contact kathy@geo-energy.org. GRC member Jim Faulds, a research professor for the University of Nevada, Reno and director for the Nevada Bureau of Mines and Geology, has been elected a Fellow of the Geological Society of America for his work on tectonics and structural geology. "I am very honored that my peers have chosen me as a Fellow for the Geological Society of America," Faulds said. "The Society is one of the most prominent geological organizations in North America." Of his many contributions to tectonics, Faulds most enjoys studying the association between fault patterns and best geothermal resources, or areas of flowing hot water. 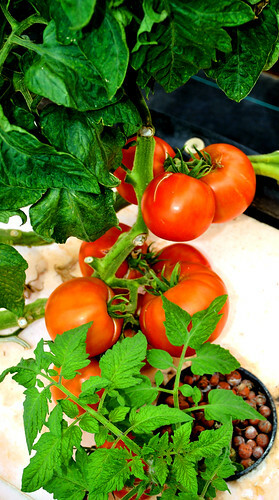 Whether at the surface or underground, the hot water is an accessible energy source that can be used to produce electricity, heat buildings and homes or provide appropriately temperatured waters for greenhouses and fish hatcheries. "The research on geothermal resources felt very relevant and applicable to society's use," Faulds said. "A geothermal plant could run consistently, develop energy, and not deplete the resource." Faulds' tectonic research is just one example of his work that earned him the Fellowship from the Geological Society of America. To better engineer commercially viable EGS technologies, the U.S. Energy Department is soliciting feedback on how to more accurately measure and track vital subsurface parameters throughout EGS development phases. By understanding the importance and constraints of various subsurface parameters, the Geothermal Technologies Office will be better positioned to target and prioritize its limited funding on field characterization activities and maximize impact for EGS development. Feedback from industry, academia, research laboratories, government agencies, and other stakeholders is sought to understand the relative importance of various subsurface parameters in relation to overall EGS performance. This is solely a Request for Information (RFI) and not a Funding Announcement (FOA). EERE may issue a FOA in the future based on or related to the content and responses to this RFI, or EERE may elect not to issue a FOA. For more information on this Request For Information, click here. Construction of 300 MWe of geothermal power plants at Suswa in south Rift Valley has inched closer with a tender calling on investors to develop steam fields closed. A detailed surface study that entails geology, surface heat measurement and baseline environmental, social economic assessment has been concluded indicating a potential of 750 MWe power when the project is complete. However, in the first phase of the project undertaken by Geothermal Development Corporation (GDC) will only develop 300 MWe. Starting June, ground work construction is expected to start, and will see a total of 120 wells drilled as part of infrastructural developments for the year 2014/2015. The whole project will take two years with investors roped in to help develop steam by drilling exploration, appraisal and production wells. In the world of renewable energy, geothermal is practically an afterthought. But geothermal offers something important that wind and solar don't: baseload capacity. Because geothermal operates around the clock, expect to see this resource, which taps underground heat sources, to keep growing, especially in the West where it is most abundant. With a high capacity factor, a measure of how often a plant is operating, a modest-sized geothermal plant can produce as much electricity as a much larger wind farm or solar facility. Geothermal projects don't take up much space, especially when compared to large wind farms and utility-scale solar projects that can occupy thousands of acres. Because it operates as a baseload resource, utilities and grid operators don't need to ramp natural gas-fired plants up and down to balance geothermal like on-again, off-again wind and solar facilities. This makes geothermal less expensive to integrate onto the grid. Although typically a baseload resource, it can also be operated like a flexible resource, if needed. The UK government is to examine whether trespass laws should be amended to make it easier for producers to access potential shale gas reserves, the Department of Energy and Climate Change said Tuesday. The review could also benefit deep geothermal energy projects, it said. "Like any other industrial activity, oil and gas operations require access permission from landowners...there is an existing legal route by which operators can apply for access where this cannot be negotiated," the DECC said. "We are currently considering whether this existing route is fit for purpose. ."
Unlike in the US, UK landowners do not have rights to the oil and gas under their land, which has been cited as a reason why shale gas could be slow to take off. The government and industry have proposed new community benefit schemes to remedy this, including a fee per well and a revenue-sharing mechanism. However, while landowners do not own the oil and gas under their land, it is possible that drilling under someone else's land could lead to a trespass action. The deadline to submit your abstract for the World Geothermal Congress 2015 is fast approaching. The Organizing Committee are still accepting abstracts so don't miss out and submit your abstract now. Please click here to view a YouTube video of how to submit your abstract. For further information regarding call for paper submissions and guidelines visit the Congress website. February 1 – 30 March 30 2014: Technical Program Committee review of Abstract. April 1 2014: Notification of acceptance of Abstract. May 30 2014: Deadline for the Submission for Technical Papers (for review). June 1 – August 31 2014: Technical Program Committee review of Technical Papers. September 1 2014: Technical Program Committee return submissions to authors following the review, with notification of acceptance and/or need for revisions. October 30 2014: Deadline for Final Technical Papers. Receipt of final, corrected papers in format specified. Papers not received by this date will not be included. February 1 2015: Technical Program Committee notifies authors of assignment of papers for presentation or poster session. For our major sponsors, partners and supporters, WGC 2015 represents a rare opportunity to position your brand at a professional gathering of a highly sought audience of industry stakeholders from around the globe. WGC 2015 sponsors will achieve longevity of their brand, clear delivery of their message and formation of new business relationships. We will soon be launching the Sponsorship Prospectus for WGC 2015. To express your interest in having your organization represented as a sponsor or exhibitor, or to receive a copy of the Prospectus, contact the WGC 2015 Sponsorship & Exhibitions Manager, Drew Whait at sponsorship@arinex.com.au or phone +61 2 9265 0700. We look forward to you joining us at the Melbourne Convention & Exhibition Centre from the 19th - 25th of April 2015. Iceland is leading the way when it comes to using magma as an alternative source of energy. AOL News explains how this new power plant is changing how we heat our homes in hopes for a more sustainable future. The British Columbia Government held a geothermal permit sale this month, bringing a new opportunity for the exploration and development of geothermal resources in northern British Columbia. The Jan. 21, 2014, geothermal tenure sale offered one parcel covering 2,865 hectares near Lakelse Lake south of Terrace, inland from Prince Rupert. The successful bid for the parcel totals $100,000. Industry may request that geothermal rights owned by government be made available through a competitive bid process. Geothermal permits provide industry with the exclusive right to subsurface resources in that area. The proponent can apply for well authorizations to be drilled within the boundaries of a location covered by the permit. Permits expire on the first anniversary of date of issue, but may be renewed up to seven times. If the proponent discovers a geothermal resource, they may apply to convert the permit to a lease, which provides the right to produce geothermal energy. There are annual work requirements and rent associated with a geothermal permit. Further information on this sale, geothermal resources and the tenuring process. Last week, a new analysis - Investigating a Higher Renewables Portfolio Standard in California - was released that explored the technical, environmental, and economic implications of raising California’s Renewables Portfolio Standard (RPS) from 33 percent by 2020 to 50 percent by 2030. I’m excited to report that although the study illuminates the challenges of installing unprecedented amounts of renewables on the grid, it is technically possible. Moreover, California has tools in hand today to scale up renewables, and is developing programs and policies that will continue to lower the cost and technical challenges of doing so. The study was led by a private consulting firm — Energy and Environmental Economics, Inc. (E3) — and commissioned by the state’s five largest electric utilities. E3 modeled a 33 percent by 2030 RPS and compared those results to a 40 percent RPS and several 50 percent RPS cases that varied primarily by the amount and size of photovoltaic (PV) investments and inclusion of other renewable energy technologies such as geothermal. Europe's Goce gravity satellite has provided striking new visualizations of the Earth's deep interior. 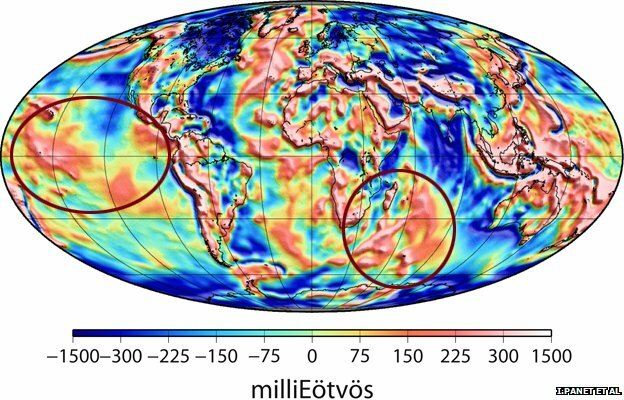 Its gravity data has enabled variations in the density of rock to be traced up to more than 2,000 km below the surface. The maps, published by the journal Nature Geoscience, help to show how material moves up and down, driving a range of geological phenomena. These include subduction zones, where the great tectonic slabs covering the Earth's surface dive under one another. "Ultimately, volcanic activity and earthquakes occur because of these slow movements inside the Earth's mantle," explained Dr Isabelle Panet from the Paris Institute of Earth Physics, France. "The volcanoes and earthquakes are, if you like, just the surface expression of these deep dynamics," she told BBC News. of a geothermal plant in Fukushima prefecture, Japan. 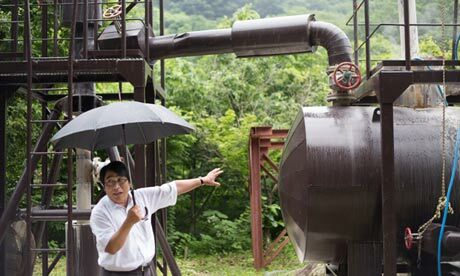 Hot springs operators in Tsuchiyu, a town about 80 kilometers (50 miles) northwest of Fukushima’s stricken nuclear station in Japan, announced on Friday a 250 KWe geothermal power generation project. The managers hope to generate 2.8 million kilowatt-hours of electricity, or enough to supply about 500 households. They expect to make about 980,000 dollars a year by selling electricity starting in July 2015. Continuamos con la Piensa Geotermia seria de podcast enfocados al mundo de habla hispana y en este programa hemos contado con Margarita de Gregorio que es coordinadora de la Plataforma Tecnológica Española de Geotermia para analizar el estado de la geotermia en España. Piensa Geotermia continues a series of podcasts focused on the Spanish-speaking world, In this program Margaret Gregory, coordinator of the Spanish Geothermal Technology Platform, analyzes the status of geothermal energy in Spain. by Michael Chendorain, Senior hydrogeologist in London and a California professional civil engineer at Arup. Why isn’t geothermal energy used more widely? Until now, technological challenges and uncertainty for investors has held back this renewable resource. However, I think this is about to change as public policy worldwide shifts towards renewable heat and as the oil and gas industry drives improvements in drilling technology. Geothermal energy’s synergies with shale gas production could offer a way out. For a geothermal resource to be viable, you need both heat and permeable rock to pump water through. You often also need to improve the heat transfer from the ground to the power plant by using pressurized water to shear the rock – a broadly similar process to that used in the shale gas industry. In fact, with some up-front design adaptations, shale gas wells could be converted into geothermal wells relatively simply. This would eliminate two of the major barriers to developing geothermal: the capital investment costs to drill the well and the exploration risk. Arup is working with innovative designers who are looking at ways to enhance single-well systems in this way. In a speech given at the Nevada Legislature in April, Sen. John Ensign, R-Nev., said he would propose renewable energy legislation that would help bring revenue back to the states and counties where the projects are built. On Tuesday, Ensign, along with Sen. Harry Reid, D-Nev., and representatives Dean Heller, R-Nev., Dina Titus, D-Nev., and Shelley Berkley, D-Nev., introduced the Renewable Energy Permitting Act in Congress. This act would affect future renewable energy projects in Nevada, Wyoming, Arizona and California. The Renewable Energy Permitting Act is modeled after the geothermal revenue-sharing program already implemented in Nevada, which allows the state, counties and federal government to receive a portion of the profits that the Bureau of Land Management receives from selling and leasing land. 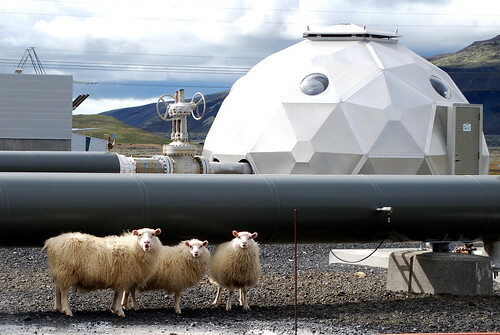 Startup Energy Reykjavik, an investment program with focus on energy-related business ideas, will be facilitated by Iceland Geothermal Cluster – a network of organisations within the geothermal energy sector in Iceland. The mentorship-driven seed stage investment program consists of an annual 10-week long program in Reykjavik, Iceland where selected companies or ideas receive $40,000 USD in seed funding. Anyone with a business idea can apply as long as the proposal is related to the energy sector, either directly or indirectly. Founders are also provided with a place to work at Reykjavik University, ten weeks of intensive mentorship, and the chance to pitch to angel investors and venture capitalists at the Investor Day event at end of the program. Startup Energy Reykjavik was founded by Landsvirkjun, Arion Bank, GEORG and Innovation Center Iceland in December 2013. The Investor Day will be held on May 30th 2014. Renewable energy sources, such as wind, solar, biomass, geothermal and hydropower, accounted for 37.16% of all new domestic electrical generating capacity installed during calendar-year 2013 for a total of 5,279 MW, according to the latest Energy Infrastructure Update report (PDF) from the Federal Energy Regulatory Commission (FERC). Citing the FERC statistics, renewable energy advocacy group the SUN DAY Campaign notes that is more than three times that provided for the year by coal (1,543 MW - 10.86%), oil (38 MW - 0.27%) and nuclear power (0 MW - 0.00%) combined. However, natural gas dominated 2013, with 7,270 MW of new capacity (51.17%). Waste heat provided the balance of new generating capacity - 76 MW (0.53%). Among renewable energy sources, the FERC report says solar led the way in 2013 with 266 new "units" totaling 2,936 MW, followed by wind with 18 units totaling 1,129 MW. Biomass added 97 new units totaling 777 MW, while water had 19 new units with an installed capacity of 378 MW and geothermal steam had four new units (59 MW). 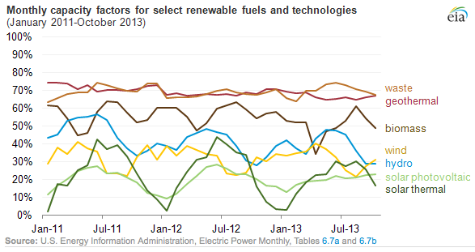 For the two-year period between Jan. 1, 2012 and Dec.31, 2013, renewable energy sources accounted for 47.38% of all new generation capacity placed in service (20,809 MW). In addition, renewables now account for 15.97% of total installed U.S. operating generating capacity: water - 8.44%, wind - 5.20%, biomass - 1.36%, solar - 0.64%, and geothermal steam - 0.33%. This is more than nuclear (9.25%) and oil (4.05%) combined. The global GRC membership took part in the ballot in the late fall, and the result was that four new members of the Board were elected. The potential geothermal energy resource base of the United States is a major natural asset, on the order of more than 100 gigawatts (GW) of clean renewable energy. Conventional hydrothermal technologies could be utilized for 6 GW of additional potential beyond what has already been developed. There are an estimated 30 GW of additional conventional resources yet to be discovered in the western United States. 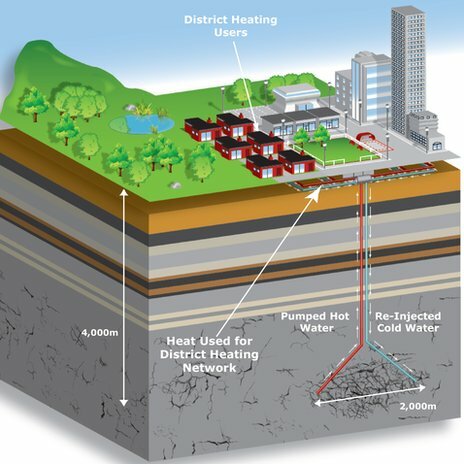 The next generation of geothermal technologies, enhanced geothermal systems (EGS), is positioned to access additional geothermal resources by adding either permeability or a heat exchange fluid to a geological formation with sufficient heat. A breakthrough in EGS could expand the U.S. geothermal resource base dramatically. Professor Jeffrey Bielicki's presentation at the 37th Geothermal Resources Council Annual Meeting was voted one of the best geothermal presentations of 2013, based on content, visual quality, and the ability to communicate the subject matter. The GRC Annual Meeting is the world's largest geothermal energy event. Bielicki holds a joint appointment with the Department of Civil, Environmental, and Geodetic Engineering and the John Glenn School of Public Affairs at The Ohio State University. His talk presented research, conducted with Dr. Thomas Buscheck and others at Lawrence Livermore National Laboratory, that investigates a new approach to producing and storing renewable energy using geothermal resources. The concept uses combinations of carbon dioxide, nitrogen, and native brine along with a unique engineered configuration of concentric rings of underground wells. The technology to implement this design already exists in different industries, so Bielicki and his colleagues are optimistic that their new approach could expand the use of geothermal energy in the U.S. far beyond the handful of states that can take advantage of it now. Learn more in this College of Engineering article (including video) posted last month. Plans are underway to generate 3,000 MW of geothermal power in Bogoria-Silale block in Baringo county. Geothermal Development Company chairman Simon Gicharu says the power will be generated in two phases with 800 MW targeted during the first phase while the rest would be generated in the second phase. Kenya’s installed capacity currently stands at 1,700 MW. The government is however targeting to increase this by an additional 5,000 megawatts within the next 36 month. Gicharu said the Bogoria-Silale block will be harnessed in phases. During the first phase, GDC targets to generate 800 MW. Gicharu said the block is capable of yielding up to 576,000 tonnes of water per day which can irrigate 57,000 ha of land to supplement rain-fed agriculture and address perennial food insecurity in the region. Area County governor Benjamin Cheboi said that Bogoria- Silale block will open up the northern frontiers of the Country, help in making electricity cheap and affordable. PG&E, the utility for central and parts of northern California, has issued its Third Combined Heat and Power (CHP) Request for Offer (RFO) in accordance with the QF/CHP Settlement Agreement. The 2014 CHP RFO will help PG&E meet its 1,387 MW CHP procurement target, which comes due in November 2015. A link to the CHP RFO can be found at www.pge.com/rfo by clicking on “CHP 3 RFO”. Offers are due on February 27, 2014 at 1:00 pm (PPT). For the 2014 CHP RFO, PG&E will only be accepting offers through Power Advocate’s online submission process. Please be advised that if you plan to offer a project with new or increased gas demand, the deadline to apply for gas interconnection service is Thursday, January 30, 2014. PG&E will host a Participants’ Webinar on February 6, 2014. To register for this event, please submit the conference registration Excel attachment no later than February 4, 2014. 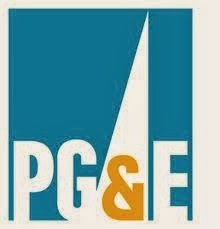 For information or questions about PG&E’s CHP RFO please e-mail CHPRFO@pge.com. In this excerpt from the February 2014 edition of EcoGeneration, Hot Dry Rocks Technical Director Graeme Beardsmore (right) discusses the Australian geothermal industry highlights of 2013 and gives us his outlook for the industry in 2014. This year brought an event of global significance in Australia with the first power generation from Geodynamics’ Habanero Project in South Australia. Commissioning of the 1 megawatt electrical pilot plant, powered by geothermal energy from hot granite rocks 4.4 kilometers underground, confirmed Habanero as the most advanced such project in the world. Officials in Nevada are marking completion of a new north-south electricity transmission line billed as a key to strengthening the regional power grid. U.S. Senator Harry Reid and Acting Federal Energy Regulatory Commission Chairwoman Cheryl LaFleur are among those taking part in a ceremony today at an NV Energy power plant just north of Las Vegas. The federal Energy Department lent more than $340 million in stimulus money for the project in 2011. It’s called the One Nevada Transmission Line, or ON Line (PDF), and is majority owned by an affiliate of LS Power. The high-voltage transmission line stretches 231 miles from Moapa to just west of Ely. Officials say it links Nevada’s north and south power grids for the first time and can help boost the use of renewable energy. Mexico is an extremely promising market for renewable energy investment, and Enel Green Power, which has been present in the country since 2007 and has five plants with a combined installed capacity of 197 MWe, is in position to play a crucial part in the sector’s growth. Recently a Memorandum of Understanding was signed by Enel CEO Fulvio Conti and the Executive Director of Mexico’s Electricity Research Institute José Luis Fernàndez Zayas which will see close cooperation in geothermal power and smart grids. As part of this agreement, both parties share knowledge and expertise through pilot projects, training programs and share technology. Representatives from AltaRock Energy Inc. visited Gwangju in south-west South Korea on January 22 to sign an investment agreement. That day, the city announced that the American company is planning to invest 82 billion won (US$76.83 million) in the construction of a 3.5 MWe geothermal power plant. The project hopes to use the “water hammer” drilling method developed by a local company Hanjin D&B. The water hammer method is a drilling technique whereby the injection well transmits strong water pressure to the drill bit, moving it up and down like a hammer. The method is not only faster than the standard roller cone bit method, but it is cheaper as well. GRC member David Blackwell, a professor of geophysics at Southern Methodist University in the USA and an expert on deep geothermal heat, was present at an international symposium on the topic that was held at the Kim Dae-jung Convention Center after the investment agreement was signed on Wednesday. In 2009, a borehole drilled at Krafla, northeast Iceland, as part of the Icelandic Deep Drilling Project (IDDP), unexpectedly penetrated into magma (molten rock) at only 2100 meters depth, with a temperature of 900-1000 C. The borehole, IDDP-1, was the first in a series of wells being drilled by the IDDP in Iceland in the search for high-temperature geothermal resources. The January 2014 issue of the international journal Geothermics is dedicated to scientific and engineering results arising from that unusual occurrence. This issue is edited by GRC member Wilfred Elders, a professor emeritus of geology at the University of California, Riverside, California, who also co-authored three of the research papers in the special issue with Icelandic colleagues. Djibouti's cabinet on Tuesday (January 21st) approved funding for several projects to be carried out by development partners for the first phase of the geothermal energy development at Lake Assal. The financing arrangements take the form of a loan worth more than 1.1 billion francs ($6.1 million) and a grant worth more than 2.6 billion franc ($14.4 million) for six proposed projects. Ormat Technologies, Inc. announced today that it has successfully completed the scope of work needed to bring the Mammoth G1 geothermal power plant in Mono County, California to full capacity. The 6 MW plant reached commercial operation under the new Power Purchase Agreement (PPA) with Pacific Gas and Electric Company (PG&E) that allows for hourly energy deliveries of up to 7.5 MW and now receives the full commercial rate defined in the PPA. The Mammoth G1 plant commenced operation in 1984 under a Standard Offer Contract No. 4 PPA with Southern California Edison Company (SCE). In March 2013, Ormat announced the termination of its PPA with SCE and the signing of a new 20-year PPA – not tied to natural gas - with PG&E for the full output of the facility. Refurbishing of the power plant took place in 2013 and was completed less than eight months from the start of mechanical construction with the plant reaching full power in less than a month from the end of construction. 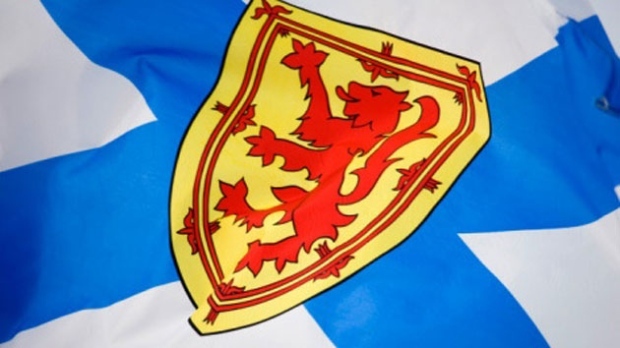 Nova Scotia's first municipal geothermal program, which will use underground water as an energy source, has been granted final approval. Provincial Natural Resources Minister Zach Churchill signed a lease to proceed with the project in Springhill. Under the program, geothermal heat will be absorbed by mine water, which can be as much as 11 degrees Celsius higher than normal groundwater temperatures. The water will be pumped to the surface and its heat extracted for energy before that water is returned underground to be reheated naturally. The Natural Resources Department says underground coal mine workings in the town are estimated to contain about 49 billion liters of water -- the equivalent of about 19,600 Olympic-sized swimming pools. Churchill says the program will help provide clean and efficient energy to the town. A local geothermal firm and its partner from Iceland, Orka Energy, is set to put up a 49 MW power plant to supply the electricity needs of this small island on the northern tip of Leyte, officials said. Eirikur Bragasson, Chief Executive Officer of Orka Energy, said construction of the power plant was the second phase of its joint project with Biliran Geothermal Inc (BGI) to make the island energy self-reliant in the next two years. “We’ve finished the first stage and now we’re into the second stage, which is putting up the power plant ...The project here has very strong geothermal energy resources,” Bragasson told a press conference on Tuesday. The 49 MW power project in located in Barangay Cabibihan, Caibiran, Biliran in the Eastern Visayas region of the Philippines. There is no better time than now for Canada to utilize its high temperature and direct use geothermal energy resources for clean power production. Join CanGEA for our annual conference, where you will hear from recent project developers and about national database and mapping initiatives, participate in panel discussions on the latest policy updates and current resource estimates, and have the opportunity to contribute to the National Geothermal Roadmap and Implementation Plan. A workshop in Rotorua, on the north island of New Zealand next month aims to help landowners and businesses better profit from our region's geothermal energy. Using geothermal energy provides businesses with an economical heating option that is clean, abundant and readily available. Potential end-uses include space heating, industrial processing, horticulture, aquaculture, motel and accommodation providers, timber drying and spas. To get more firms using such energy, landowners and businesses need to understand how to access and utilize the potential under their properties. To help with this, a workshop on geothermal direct heat for commercial applications will be held in Rotorua on February 18-19. The workshop is part of the Bay of Connections Energy Strategy project in association with Grow Rotorua, Kawerau Industrial Symbiosis and Enterprise Great Lake Taupo.